A coarsely ground blend of beef and pork snouts held together by gelatin. This product is an old fashioned lunchmeat. Eat it cold or try it on a slice of bread heated. 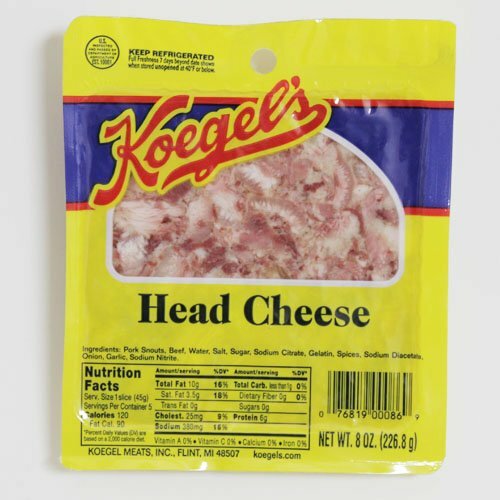 If you have any questions about this product by Koegel Meats Inc, contact us by completing and submitting the form below. If you are looking for a specif part number, please include it with your message.